Stand erect with the feet together and arms at the sides. 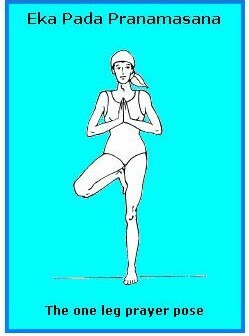 Raise one foot and place the sole against the inside of the opposite upper thigh. The heel is near the perineum, the palms together in front of the chest. Practice as long and as much as possible. 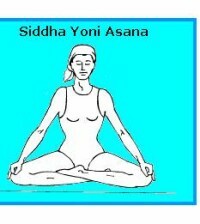 Develops nervous equilibrium and balance. Strengthens the leg, ankle and foot muscles.